"I had built a system, an algorithm. I'd automated myself." There is a degree of uncertainty as the world begins to embrace a new digital age in which artificial intelligence is highly capable and technology defies rigid preconceptions. However, need we really be fearful of a system which we ourselves have built, one which is based upon human experience, simulation, environmental adaptation and behaviour? Last month I attended a panel in which the focus was honed towards artificial inteligence and it's involvement in the music industry as part of this year's Boiler Room x Ballantine’s True Music Forum. The Forum has evolved as a space for the cross-cultural music community to learn, exchange and build new ideas through panel discussions, keynote conversations and live performances. 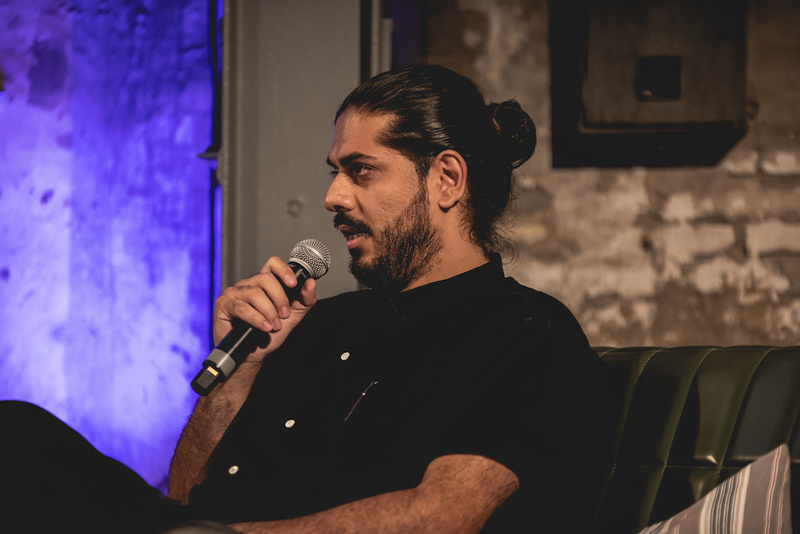 This talk in particular was presented in the same week that one of the primary panelists, Ash Koosha, announced the release of a new album titled "Return 0". The new LP features the use of artificial intelligence and demonstrates it's sublime capability within a cultural and creative context. This is an album which has taken more than a decade to produce, both trial and tribulation have played a key part in the evolutionary process of not only each track but in the very machine based intelligence which sits behind the scenes. Ash Koosha is an Iranian musician, innovator and adopter of cutting edge technology. Across many years he has helped defy the boundaries of both performance and sound whilst exploring the intricacies of the cognitive mind, virtual reality and hardware. This is perhaps best demonstrated through a politically charged act of defiance which saw him perform live in America via virtual reality after being declined a visa. Music has the capacity to tell a story, however there is as much a tale in the development process behind each of the projects Ash has worked on across the last twenty years as there is in the soundtrack itself. Like some sort of mad professor he has managed to carve a brilliant niche which allows him to exist between disparate worlds - science and art..
"I got to a point in which I could produce, finalise and master a record in one week, if someone were to pay me that is..."
"However, there was something interesting about this - it's because I had built a system, an algorithm. I'd automated myself. To a degree narrow artificial intelligence is what I'd been doing, at least a tiny part of my brain had been doing. I used basic set of artificial intelligence and put it into a system... Therefore the reason I called Yona an 'auxhiliary' human is because that system in itself helps you as a human - each individual has an intention to express themself. Without me why would a computer sing? Why would it want to? I had the intention to express myself and I used a system to help me." Whilst this explains the conceptual nature behind the new album there is also a practical level of value in making use of artificial intelligence in this capacity. "There are also many other reasons why I createdYona based upon my personal experience. I worked with singers that couldn't finish a song in two years, I didn't want to be angsty about it but I wanted the song and I don't have the money to fly in singers from New York or LA. On a personal level I built a singer for myself." It's often interesting to observe the discourse and pattern which has led to such futuristic aspirations in a creative. Ash Koosha reflects upon his move from Iran to the UK and his view on progression and self development. "I moved to England ten years ago when Iran was deemed to be a developing country. When I first arrived in London I realised that the level of growth that I went through to break out of that country and culture suddenly stopped when I got here. It's because the margins had changed, prior to my arrival I was working hard to make it to the base level but then that base level doesn't seem to want to progress higher, especially in the creative industries. The status quo is dangerous and i'm a big follower of the future of humanity..."
Watch ‘The Rise of AI in Music: Challenge or Opportunity’ panel from the Boiler Room x Ballantine’s True Music Forum HERE. Follow Ash Koosha on Facebook HERE.